Getting behind the wheel is something that people do on a regular basis, and driving becomes very natural over time. But there is always the risk of getting into a collision. In order to best prevent an accident from happening, you should learn and exercise safe driving habits that you can easily follow. As a bonus, safe drivers are likely to save on auto insurance premiums as well. It is important to maintain distance between your vehicle and the one in front. By doing so, you give yourself enough time to react to almost anything that happens. For instance, if the driver in front suddenly slams down their brakes, you can see this and start braking from a safe distance to avoid a collision. 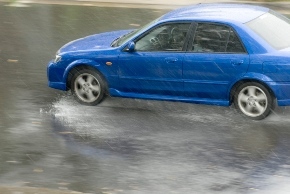 Although it is ideal to avoid driving in poor weather, sometimes it is a necessity. One of the most helpful driving tips to keep in mind in any type of bad weather is to slow down. Also, accelerating and braking lightly will help you avoid skidding on the road. Not driving when you are drowsy simply requires the commitment to not drive when you are feeling this way. However, proper planning will prevent you from needing to drive when you are feeling drowsy. Avoiding medication that causes drowsiness, taking a nap, getting enough sleep each night, drinking coffee or eating a protein-rich snack are all effective methods to avoid drowsiness before you need to drive. While you should definitely pay attention to your immediate surroundings, you should also look ahead past the vehicle in front of you to get a better idea of the road conditions. Using this method, you can determine when you need to stop before the vehicle in front of you starts using their brakes. It is a helpful tip that will allow you to anticipate the right action before it needs to be taken. Using these driving tips is helpful for avoiding accidents on the road, which can keep your auto insurance costs down by proving that you drive safely. How much can you save? Ask your independent insurance agent today. Call JSW Insurance at (925) 737-1560 to learn more about Bay Area auto insurance.